Situated in the centre of Italy and well served by the main European cities, Rimini is the symbol and the ideal place of diversified tourism. Rimini, ancient and modern, popular and cultured, magnificent and devoted to handicraft, was sung about and immortalised by the Italian cinema master, Federico Fellini, whose art brought the legendary town to the attention of the world. At 750 m above sea level, in the world’s smallest and oldest sovereign state which has maintained its freedom and independence for centuries, you are already abroad. From Monte Titano, the profiles of the three towers (Guaita, Cesta and Montale) stand out, symbols of the Republic which boasts, among its other glories, a noteworthy history and tradition of stamp and coin collecting, much appreciated all over the world. Ravenna, situated close to a magnificent pinewood, has an extraordinary number of basilicas, baptisteries and mausoleums. The harmony of its classical-style buildings blends together with precious marbles and the famous Byzantine mosaics. The town is also renowned for its main street lined with fashion boutiques (55 km). Santarcangelo is a portal to the past, a special place, a pearl in the Valmarecchia valley “of the poets”. It is here that the poets of the “Circal de giudeizi” meet, together with their movement’s founder, Tonino Guerra. Don’t miss Rocca Malatestiana, Convento dei Cappuccini, the nineteenth-century fish market, the Arch and Square dedicated to Pope Ganganelli, the mysterious tuff-stone caves, the wrought-iron shops and the canvas rust-printing shops. 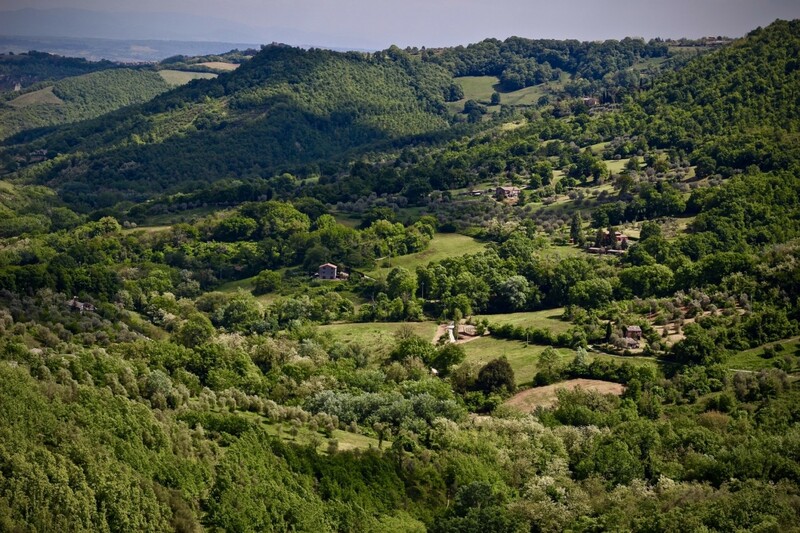 San Leo, the historic dwelling of the Montefeltro family, stands on a 600 m hill, in the heart of Valmarecchia valley. San Leo is famous for its fortress, the Pieve, and the Duomo, but also for Count Cagliostro, the mysterious and fascinating “alchemist” who was imprisoned in the fortress and died there in 1795. From its strategic position, Verucchio dominates the splendid panorama of Valmarecchia. Don’t miss the Rocca, the Collegiata of Saints Martin and Francis of Assisi, and the Civic Museum of Archaeology. Urbino is synonymous with art and culture. It famous for the Ducal Palace museum, which houses works of art from the 14th to the 17th centuries, but above all some of the most significant masterpieces of the Italian Renaissance, a style reflected in the town’s architecture as well. Small workshops are the soul of the old-town centre, where it is possible to watch craftsmen at work and buy articles of various kinds (60 km).